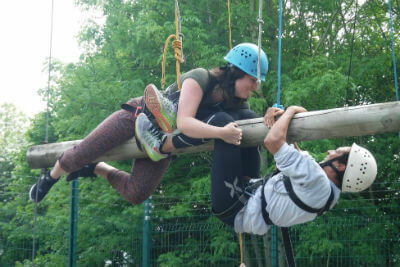 If you've got a taste for adventure and fancy an active weekend away with family or friends, we can provide an inspiring mix and match activity package. It's a great way to try out new things or brush up on existing skills, all in the beautifully scenic Forest of Dean and Wye Valley area. 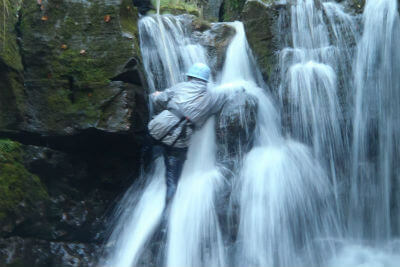 Choose upto four outdoor adventure activities for a two day weekend break. A popular combination such as Gorge Scrambling, Guided Open Canoe River Trip, Rock Climbing & High Level Ropes gives you the opportunity to try four different sports. Alternatively, spend 1 1/2 days with Inspire2Adventure and tackle three different activities, which will then leave time to explore the surrounding area or enjoy a long pub lunch or afternoon tea. Adventure weekends are perfect for groups such as hens and stags, dads and kids, and youth groups looking for a variety of new sports to try that suits all abilities. Your adventure weekend starts here! Give us a call on 01600 891515 or email us to find out more and make a booking.